NASA scientists will use the results of the “bed rest” study of how the human body adapts to weightlessness to develop countermeasures that will help astronauts on their space missions. Researchers at the Hormozgan Science and Technology Park in Tehran designed and built a test model of a portable bed - or a so called "quiet room" - which isolates a person from the outside world and prevents sound from penetrating the lounge. 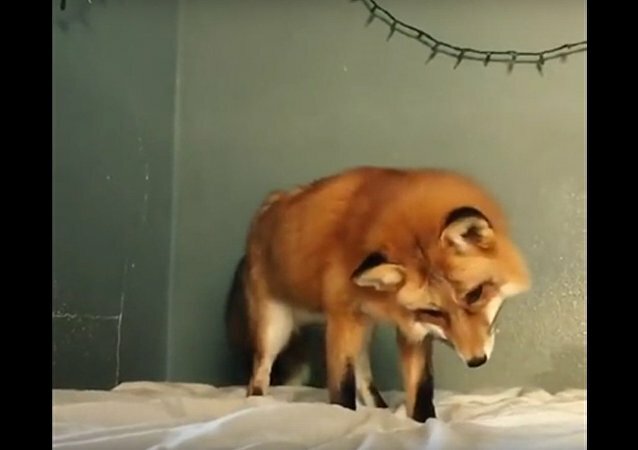 Perhaps the fox thinks that bed sheet is actually snow? Feeling too sleepy to open your eyes in the morning? Want to sleep for "another five minutes" and throw that annoying alarm clock against the wall? Here is something that will solve your problems once and for all.